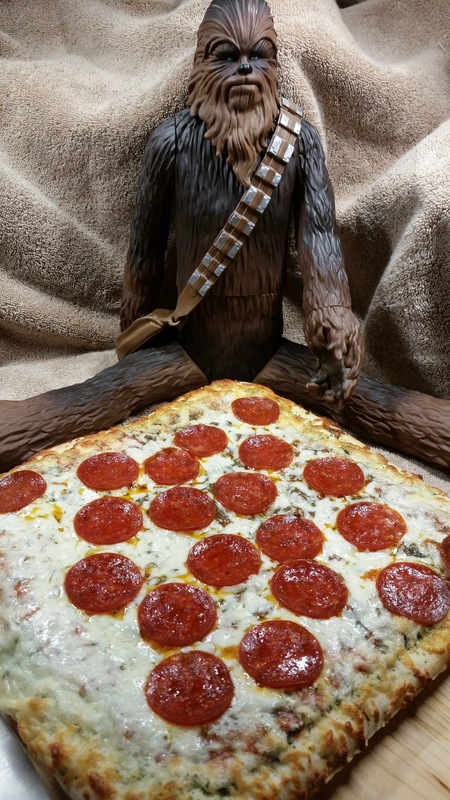 From the get go, I was hoping this pizza wouldn't be Chewy. OK, now that my bad joke is out of the way, here's a quick review on DiGiorno's Garlic Bread Pizza.. I must admit I haven't eaten a DiGiorno pizza in at least fifteen years. I never much cared for them, as I didn't like the taste of the crust. It always tasted overly artificial to me for reasons I couldn't quite put my finger on. After eating a couple of them back in the day, I didn't have any desire to delve into the reason why they tasted off to me, and haven't eaten another one until now. 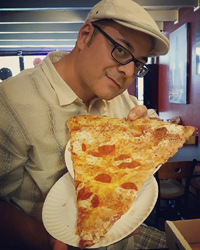 Since starting this blog, I have branched out to eating more varieties of frozen pizza to review for the masses, rather than simply covering regional pizza places in Colorado and now since relocating.. in the Central Florida area. While looking for unique varieties of pie to sample, this pizza caught my eye. The box clearly read that it was preservative free, and was of the garlic bread variety. 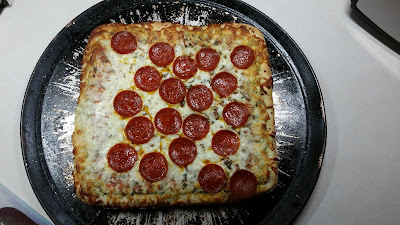 I decided to once again give DiGiorno a try, and am now happy I did so. First off, you are instructed to cook the pizza directly on the oven rack and without a pan. That in itself made for a nice crispy bottom crust, and probably helps to cook it faster and more evenly. As for the taste, I really couldn't complain. The crust didn't taste like frozen pizza crust, the 100% real cheese tasted great and browned up nicely around the edges, and the garlic marinara was pretty flavorful and not too sweet. It wasn't what I've come to expect in regards to garlic bread flavor however. I am happy that the crust was not chewy and heavy, but it was far from light. It was nice and crisp, definitely had some garlic flavor to it, but did not remind me of garlic bread at all. As far as frozen pizza goes, this style of DiGiorno pie rates pretty high on my list of better frozen pizzas on the market. I wouldn't call it a Garlic Bread pizza per say, but rather a Garlic Crust, or Garlic Seasoned pizza. I honestly didn't expect this pie to taste like a garlic bread pizza I would craft at home, and really wouldn't ever expect anyone to successfully pull off a frozen version. That being said, it is still a great tasting pizza, and a bargain at under $7.00. One thing is for sure, this pie somewhat repaired my view on the the DiGiono line of pies. Who knows, I maaaaay do more DiGiorno reviews to come in the near future.